The SLA has brought another one of its projects to completion! 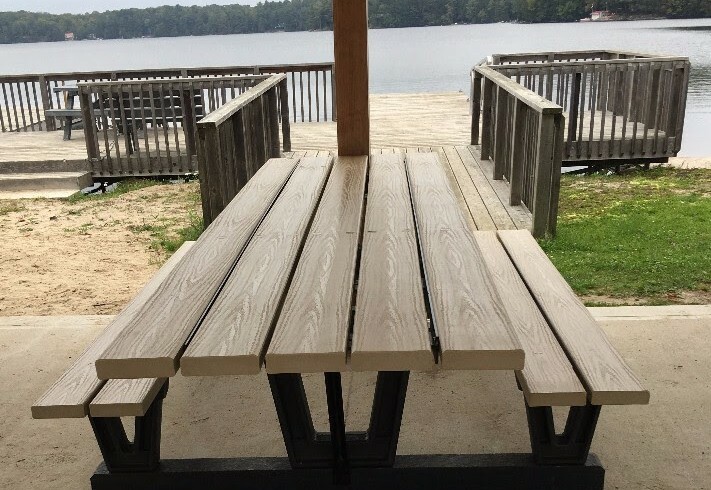 As indicated at the Annual General Meeting in July, the Association was providing the funds for the Township of Georgian Bay to purchase an accessible picnic table for installation at the Stewart Lake Beach gazebo. It arrived towards the end of September, and will be a permanent fixture at the park. The table is a perfect compliment to the mobimat that was installed earlier this past summer, and provides a comfortable option for those in wheelchairs and using walkers, to sit and enjoy the beach and lakefront. Another way in which the Association is giving back to the community of MacTier.